C&IT and visitBerlin have teamed up to launch The Berlin Forum, a four-day forum and educational trip, taking place on 9-12 June 2016. The Berlin Forum - Berlin 365/24, which is open to senior corporate, agency and association event planners, will combine a forum featuring one-to-one supplier meetings and content sessions alongside visits to key Berlin venues and attractions. If you are interested in attending The Berlin Forum, you can register here. Attendees will have the chance to meet with visitBerlin, hotel partners, other unique venues and DMCs. There will also be informal networking throughout the event, as well as gala dinners and evening entertainment. 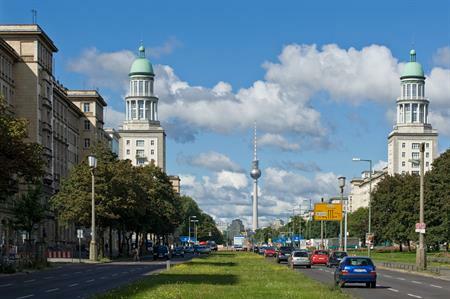 "visitBerlin and our partners are thrilled to host the first C&IT Berlin Forum," said Heike Mahmoud, director conventions, Berlin Convention Office of visitBerlin. "Berlin 365/24 will be the perfect showcase to give top UK corporate and agency buyers the chance to meet leading Berlin hotels, venues and agencies – and experience the unique atmosphere of our city. We look forward to giving everyone a warm Berlin welcome and to cementing our close relationship with the important UK market." The hosted-buyer event includes accommodation, return flights to Berlin, meals and refreshments throughout the event, content sessions and the opportunity to explore Berlin's event infrastructure and meet key suppliers.